WISCONSIN–Many people dream of acting in a Hollywood film is, and for Mollie B, a Cross Plains’ favorite, her dream come true. In March of 2018, Mollie B and her band were asked to be in “The Mule,” a Warner Bros. film directed by and starring Clint Eastwood, to be released in December of 2018. Mollie B, a frequent visitor to Cross Plains, led a music workshop last November for the students at Park Elementary and then provided a polka party for the school to raise funds for special needs programs. Mollie B tours the country leading polka parties with the Jim Busta Band and SqueezeBox. After returning from a performance, Mollie B had voicemail messages from a number in California. It turned out, it was Hollywood calling. MIDDLETON–The MHS Performing Arts Center was home to a celebration of the Martin Luther King Jr. Day holiday on Jan. 19. On a cold afternoon, hundreds of people of a diverse background warmed themselves to music provided by Tamera Stanley and the Mount Zion Baptist Church music ministry and dance by the #GK4LIFE dance troupe, a group of Glacier Creek and Kromrey Middle School students who provided a powerful hip hop expression for the forum. Dom Ricks, Dean of Students, moved the crowd with spoken word poetry which expressed a need for understanding in our community and how the movie, “Spiderman: Into the Spider-Verse,” offered the rare pleasure of seeing a black superhero as a model to whom young men of color can look up to. WISCONSIN–As snow continues to fall across most of Wisconsin, with total accumulations predicted between five to 10 inches and dangerous winds and temperatures to follow, the Wisconsin Department of Transportation urges motorists to take extra precautions if travel is necessary. WisDOT’s 511wi.gov winter road condition map is showing most roads are snow covered and slippery ice-covered highways in northern Wisconsin. Hazardous conditions will continue and will impact the evening commute. UPDATE: Shannon Owen, who escaped on Jan. 20 from a Dane County jail aversion program has turned himself in approimately 24 hours after he walked away from a hotel he was staying. 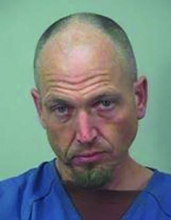 Owen gat himself up at the Dane County Jail at :20 p.m. Jan 21. MADISON–Law enforcement officials in Dane County are asking the public’s help in locating and inmate that escaped January 20 at around 5:30 p.m.
Shannon M. Owen of Madison was going through the county’s jail diversion program, Dane County Custody Alternative Monitoring Program (CAMP),when he walked away from the Grand Stay Hotel, 5317 High Crossing Blvd., on the east side of Madison. He was serving a 60-day Huber sentence for possession of cocaine. Authorities say Owen was had a disagreement with management at the hotel before he left. His GPS tracking bracelet showed that he left on foot but was picked up by someone in a vehicle right before the ankle bracelet was removed. It was later recovered. Earlier this week, the Middleton-Cross Plains Area School District received a report that a Middleton High School teacher used a racial slur during class. District and MHS administrators have been interviewing students and the teacher has been placed on leave while the investigation is being conducted. 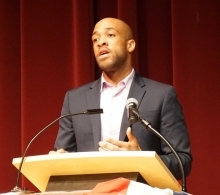 MIDDLETON–On one of his first day in office, Lieutenant Governor Mandela Barnes spoke to an auditorium full of 10th graders during a mock legislature event, part of Middleton High School’s (MHS) required U.S. government and politics class. Barnes spoke on the intent of the program which teaches kids about government by acting it out and emphasizes compromise and civility. MADISON–State investigators have cleared two Middleton police officers and two Dane County sheriff’s deputies involved in the fatal shooting of a WTS Paradigm employee killed by law enforcement after shooting at his co-workers, District Attorney Ismael Ozanne said. “There was no other option,” for the four responding officers after Anthony Tong, 43, refused commands to drop his weapon, Ozanne said at a Monday news conference. Each of the four responding officers shot at Tong, Ozanne said. Tong also fired in the direction of the officers. Tong died from a shot to his chest, however, the bullet disintegrated preventing State Crime Lab technicians from determine who fired it, said Middleton Police Chief Charles Foulke. MADISON–The largest number of individuals, organizations and governmental units, ever, were accepted Thursday as parties in the state’s consideration of a power line proposed to be built between the town of Middleton and Dubuque, IA. Public Service Commission (PSC) administrative law judge Michael Newmark approved requests from approximately 60 individuals and entities to be intervenors in the proposed Cardinal-Hickory Creek (CHC) 345-kilovolt power line project. Used to typically working with a dozen or so intervenors in a contested case, Newmark had hoped to consolidate intervenor requests along common lines of interest to better manage the process. However, he soon acknowledged that would be impossible with two different proposed routes spread across 100 miles and five counties. MIDDLETON–Former Middleton resident Victor Brar has been awarded two physics monetary grants for his work as an assistant professor of physics at UW-Madison. The first award is the Moore Inventor Fellowship, named after physicist and Intel co-founder Gordon Moore, as is Moore’s law, an observation that transistors and processors double every 18 months while cost is cut in half. The fellowship seeks inventions that impact the advancement of technology, and Brar’s invention involves manipulating an incandescent filament by notching it to reduce light to a single color, making it much more like a laser, but more efficient and faster.